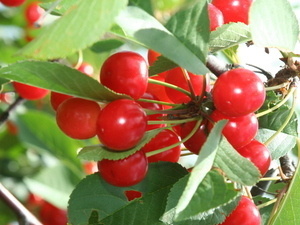 Enjoy sweet and sour cherry picking, food, wine, sweet treats, music by Lisa Lee Trio on Saturday (6/23) and by Just Joe on Sunday (6/24), and arts and crafts vendors, offering such treasures as jewelry, glassware, fragrant oils, clothing, soap, and cutting boards. Admission is free. Varick Winery is located on the Cayuga Lake Wine Trail. For more information, call 315-549-8797 or visit www.varickwinery.com.